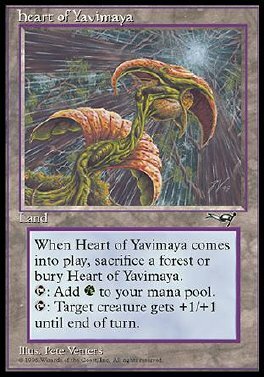 If Heart of Yavimaya would come into play, sacrifice a Forest instead. If you do, put Heart of Yavimaya into play. If you don't, put it into its owner's graveyard. T Add G to your mana pool. T Target creature gets +1/+1 until end of turn.